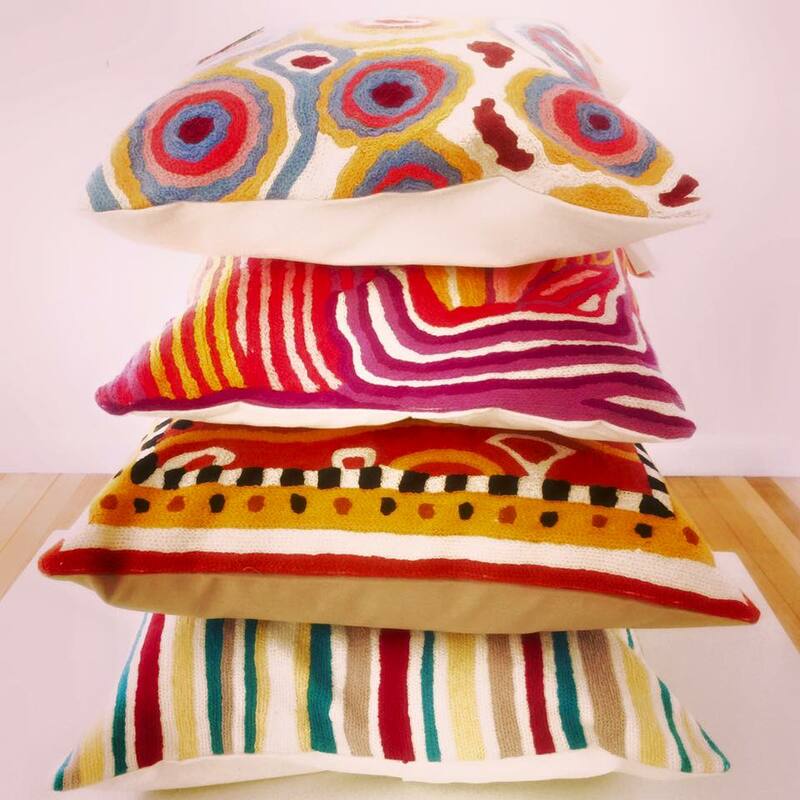 Beautiful chain-stitch cushions from the Team atÂ BETTER WORLD ARTS. To produce these cushions a cross cultural programme between Central Desert Aboriginal artists and Kashmiri farmers has been implemented. Chain-stitch is a traditional Kashmiri handicraft and important to the local economy. The work is produced in remote villages and is an important suplimentary income between harvests and other rural work. A portion of profits from sales of this item go back to sustaining the artists and craftsmen, their families and communities. The perfect Christmas gift.